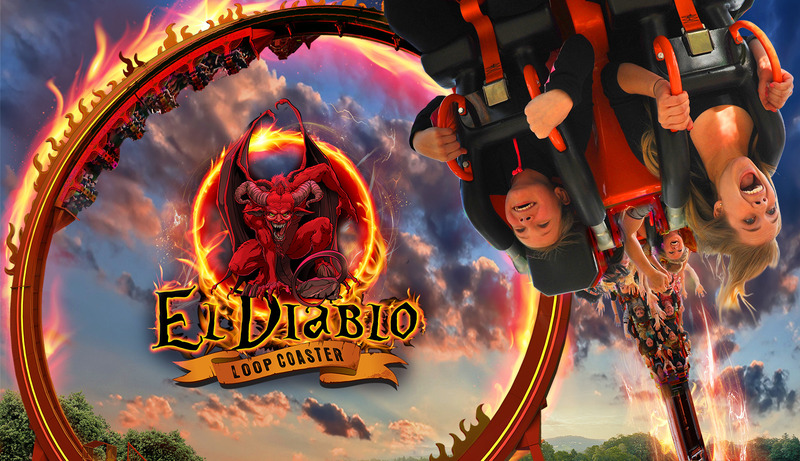 Six Flags Great Adventure's new looping coaster, set to open spring of 2015, was re-imagined with a more “devilish” theme – El Diablo. The giant, fiery red El Diablo will make its home next to the world's top-rated wooden coaster, El Toro, in the Mexican-themed Plaza del Carnaval. The devil is in the details for Six Flags Great Adventure‘s new looping coaster, set to open this spring. Originally announced in the fall of 2014 as “Looping Dragon,” with an Asian-inspired moniker and location in the Golden Kingdom section, the park’s 13th coaster was re-imagined by park management who opted for a more “devilish” theme – El Diablo. “The Jersey devil has deep roots in our state’s history, and inspired the new theme for our upcoming thrill ride,” said Park President John Fitzgerald. The giant, fiery red El Diablo looping coaster will make its home next to the world’s top-rated wooden coaster, El Toro, in the Mexican-themed Plaza del Carnaval section. It features riders sitting in “face-off” seats rocketing forward and backward pendulum style until the train gains enough momentum to complete a full revolution seven stories in the air. 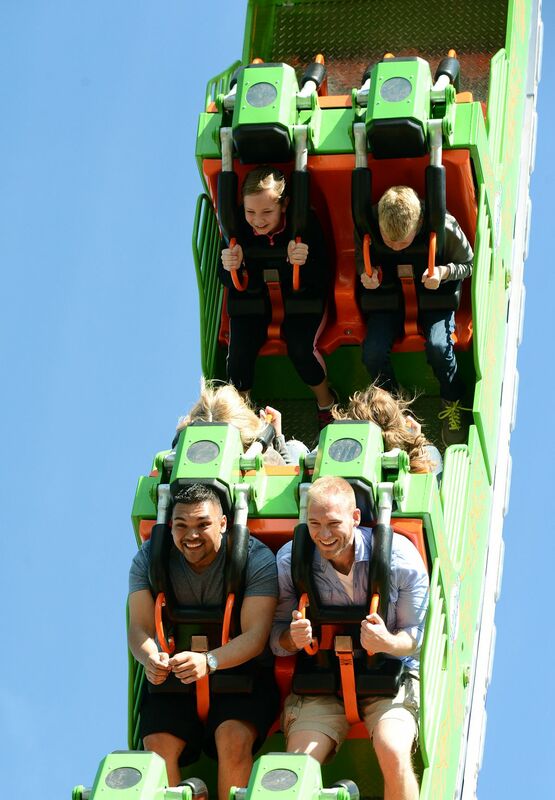 The coaster then kicks into high gear, completing full revolutions until it stops momentarily with riders suspended upside down, and then reverses direction for even more thrills.